Description: A free customizable six sigma - analysis template is provided to download and print. Quickly get a head-start when creating your own six sigma - analysis. 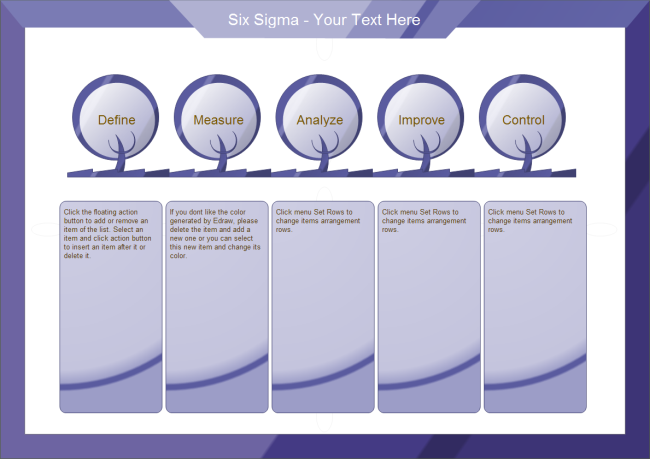 The embedded help will walk you through the process of applying this template to achieve a perfect six sigma diagram.